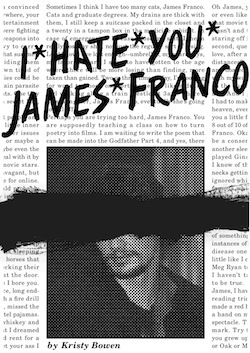 I don’t hate James Franco—I’ve never met the guy nor has he done anything publicly which has actually wanted hate—but apparently my friends have heard me gripe about his forays into the world of poetry enough times that it has become a bit of a joke. In fact, I have several friends who report back to me about Franco, assuring that I don’t miss any of his poetry news: interviews, book releases, questionable publications… well, it’s a long list, because as everyone knows, Franco is nothing if not prolific. A few months ago, the joke finally paid off. “Have you read this book by Kristy Bowen?” my friend asked, the link she included to I Hate You James Franco starting my literary love affair with Bowen. cats. One tiny mutation and it’s all over. require careful handling like horses that might spook. days if given the chance, long endless white sheets of it. And free—did I mention free? Thank you, James Franco. All’s well that ends well. I can’t keep dead girls out of these poems. a red dress for three days. Wore my nails to the quick. Kristy Bowen‘s work has appeared in fine publications, such as Diagram, Requited, Yew Journal, Stone Island, and Delirious Hem. The author of several chapbooks, she also has five full-lengthbooks, including major characters in minor films (Sundress Publications, forthcoming) and Girl Show (Black Lawrence Press). 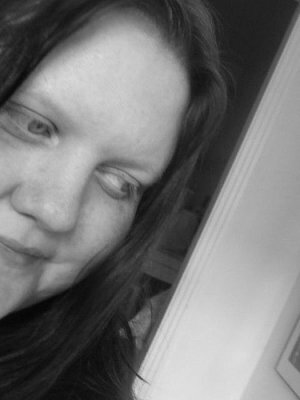 Bowen lives in Chicago where she runs Wicked Alice Poetry Journal and Dancing Girl Press. 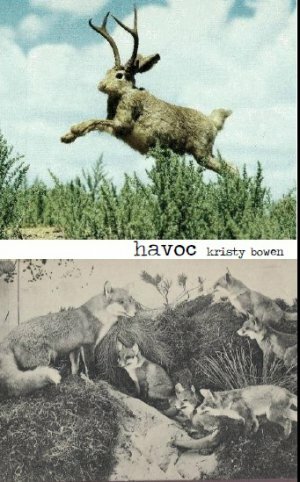 This entry was posted in Book Review and tagged book review, chapbook, Dancing Girl Press, ebook, Free, Havoc, I Hate You James Franco, James Franco, Kristy Bowen, Limited Edition, PDF, poetry, Poetry Review, review, Sundress Publications. Bookmark the permalink. Reblogged this on The Perusalist Society.